Pedro Maldonado died in 2015, at the age of 59, after an endoscopy at this ambulatory surgery center in Vineland, NJ. The family’s lawsuit says he shouldn’t have been scoped there, because he had a pacemaker and defibrillator and the doctor didn’t get a cardiologist’s clearance. Two months before her upper-spine surgery in 2014, Paulina Tam (left) took a cruise to Mexico with her husband, Timothy, and mother-in-law, Irene Tam. After finishing careers as a nurse and an educator, she had planned to travel the world with her husband of 32 years. But like hundreds of thousands of other patients each year, Tam went to one of the nation's 5,600-plus surgery centers. Surgery centers have steadily expanded their business by taking on increasingly risky surgeries. At least 14 patients have died after complex spinal surgeries like those that federal regulators at Medicare recently approved for surgery centers. Even as the risks of doing such surgeries off a hospital campus can be great, so is the reward. Doctors who own a share of the center can earn their own fee and a cut of the facility's fee, a meaningful sum for operations that can cost $100,000 or more. Some surgery centers risk patient lives by skimping on training or lifesaving equipment. Others have sent patients home before they were fully recovered. On their drives home, shocked family members in Arkansas, Oklahoma and Georgia discovered their loved ones were not asleep but on the verge of death. Surgery centers have been criticized in cases where staff didn't have the tools to open a difficult airway or skills to save a patient from bleeding to death. Most operations done in surgery centers go off without a hitch. And surgery carries risk, no matter where it's done. Some centers have state-of-the-art equipment and highly trained staff that are better prepared to handle emergencies. And in cases similar to Tam's, upper-spine surgery patients have been sent home too soon, with the risk of suffocation looming. In 2008, a 35-year-old Oregon father of three struggled for air, pounding the car roof in frustration while his wife sped him to a hospital. A Dallas man collapsed in his father's arms waiting for an ambulance in 2011. Another Oregon man began to suffocate in his living room the night of his upper-spine surgery in 2014. A San Diego man gasped "like a fish," his wife recalled, as they waited for an ambulance on April 28, 2016. If he "had been observed in a hospital overnight," said Dr. Daniel Silcox, an Atlanta spine surgeon and expert for the family in their lawsuit, "his death would not have occurred." "There is nothing distinct or different about the surgery center model that makes the provision of health care any more dangerous than anywhere else," Prentice said. "The human body is a mysterious thing, and a patient that has met every possible protocol can walk in that day and still have something unimaginable happen to them that has nothing to do with the care that's being provided." "It's important to realize that surgery centers are not hospitals," he said. "They have different resources, different equipment." Federal law allows surgery center doctors — unlike others — to steer patients to facilities they own, rather than the full-service hospital down the street. In some cases, doing so could increase the risk to a patient, but double a physician's profits. "The physicians who practice there are responsible for everything that happens in that surgery center from the moment the patient walks out of their car in the parking lot to the moment they leave," he said. Even some who've made their living in the surgery center industry have expressed concerns. Dr. Larry Teuber, a South Dakota neurosurgeon who worked as an executive in the surgery center industry for 22 years, said he has watched surgery center owners take on increasingly complex — and lucrative — orthopedic and spinal surgeries, undercutting a nearby hospital's profits for their own gain. "When you're making money doing [complex surgeries] you get on a slippery ethical slope," Teuber said. "The money overshadows everything." The first surgery center in the U.S. opened in Phoenix in 1970, a place "squeezed between neighborhood shops and a Baptist church," where, for $90, a child could receive an incision to relieve pressure on the inner ear, The Arizona Republic reported at the time. The pioneering doctors, John Ford and Wallace Reed, didn't see why patients needed to be hospitalized for such minor surgeries. Taking the procedures out of hospitals reduced the cost for patients and insurers because surgery centers don't require the same level of staffing or lifesaving equipment. Today, there are 5,616 Medicare-certified centers. The expansion has come despite lingering safety concerns. In 2007, Medicare noted that surgery centers "have neither patient safety standards consistent with those in place for hospitals, nor are they required to have the trained staff and equipment needed to provide the breadth of intensity of care. …" Some procedures are "unsafe" to be handled at surgery centers, the report concluded. James Long, 56, died on July 22, 2014. He went to the Minimally Invasive Spine Institute in Lafayette, Colo. for spinal surgery to remove and replace 18-year-old rods and screws installed to stabilize his lower back. They include James Long, 56, who had no pulse when an ambulance came to the Colorado surgery center where he'd undergone more than five hours of lower-spine surgery in 2014, according to the center's medical records provided to the family's attorney. The state reviewed the case and cited no deficiencies. Jen Kenitzer, the Minimally Invasive Spine Institute administrator, said the center has "extensive procedures in place to respond quickly and appropriately" in emergencies. Yet Long's loved ones remain troubled by the case. "In the 21st century in the USA, a doctor doing a surgery on a patient has to call 911?" said Robin Long, his ex-wife, who did not sue the center. "Give me a break. … It's just absolutely ignorant." A center in California had empty oxygen tanks. One operating on children in Arkansas didn't have a pediatric tracheotomy set to restore breathing; another lacked pediatric defibrillator pads to shock hearts back into rhythm. Paramedics responding to the center's 911 call had to use a video GlideScope to see inside the patient's throat, equipment the surgery center didn't have, court testimony says. Rekhaben Shah, 67, died following a colonoscopy at Oak Tree Surgery Center in Edison, N.J. Shah was the glue that kept her family together. “We lost everything,” daughter Neha Shah says. Neither Yim nor the center returned calls for comment. In court records, an expert for the surgery center said Shah's airway was obstructed and it was cleared around the time the paramedics arrived. He said the GlideScope is not required in New Jersey, nor would it likely have made a difference. An expert for Yim, however, said her actions were appropriate and if a GlideScope had been at the center, "we would probably not be discussing this case at all." In Yim's case, paramedics testified that she refused to move away from Shah and allow them to attempt lifesaving measures. In court records responding to the lawsuit, the surgery center and anesthesiologist said Reuben's death was a result of "pre-existing conditions, acts of others, or conditions over which (Defendants) had no control or responsibility." A photo of Rueben and his show goat at the Southern Iowa Fair still sits in his room Thursday, Aug. 24, 2017, at his home in Oskaloosa, Iowa. Rueben died in 2016 after complications from a tonsillectomy at an outpatient facility in Clive, Iowa. Pedro Maldonado, 59, went to Ambulatory Care Center in New Jersey to have his upper digestive tract scoped. He was discovered unresponsive 10 minutes after the seven-minute procedure, according to his widow's lawsuit. It took surgery center staff 25 more minutes to start CPR, according to a lawsuit that Philadelphia attorney Glenn Ellis filed on behalf of Maldonado's widow. Twenty-seven more minutes passed before Maldonado was wheeled into an ER, the widow's ongoing suit alleges. Maldonado never regained consciousness. "At a hospital, doctors and nurses … know how they are going to respond," Ellis said. "These guys at the surgery centers are walking on a tightrope with no safety net." While the thrum of a hospital continues through the night, some surgery center doctors keep banker's hours. That means patients whose surgeries end later in the day are sometimes left in the care of one or two nurses for up to 23-hour stays. Some patients have been sent home to grapple with complications on their own. "I just think they wanted to start their three-day weekend," said daughter Casey Podoll. Sondra Wallace, 58, a junior high school English teacher from Altus, Okla., died Feb. 17, 2017. Wallace is pictured with her grandson Dylan Podoll. "They didn't give any indication … that there were any red flags whatsoever," Podoll said. Craig Buchan, attorney for the Surgery Center of Oklahoma, said Wallace met discharge criteria and her cause of death has not been determined. He said the center did not close any earlier "than often occurs after the last patient is discharged." Cecilia Aldridge said she also felt as if the staff at a surgery center was rushing her out the door, after her 2-year-old daughter's tonsil surgery in Arkansas in 2015. A lawsuit filed by the parents said the surgery center "discharged Abbygail too early because a snow storm was moving into the area." "She never woke up," Aldridge said tearfully in an interview. Abbygail's parents now question whether the surgery center ever should have been willing to treat their daughter. Abbygail, who loved her hand-me-down blanket and the film "Frozen," had sleep apnea, an irregular heartbeat and was very heavy for her age, according to the lawsuit. Two-year-old Abbygail Chance died three days after a tonsillectomy at an Arkansas surgery center. Sleep apnea increases the risk of serious complications in surgery and the night after, medical research shows. Given her condition, Abbygail "should have been admitted [to a hospital] and monitored post-procedure," said Dr. Charles Cote, a retired Harvard pediatric anesthesiology professor who was not involved in the family's lawsuit. The lawsuit says Abbygail's risk factors "were documented and known by the Defendants," including the doctor. It said the toddler should have been operated on "in an inpatient setting under hospital care and monitored overnight." Dr. Michael Marsh performed Abbygail's tonsillectomy at Executive Park Surgery Center in Fort Smith, Ark. The surgery center's lawyer declined to comment. The doctor's lawyer did not return email and voice messages. In court documents responding to the lawsuit, Marsh and the center denied wrongdoing. In the court filing, Marsh said the toddler's injuries were "the natural progression" of her illness. Executive Park Surgery Center said in a court filing that "no action on their part … was a proximate cause of any damages or injury." The case was settled. Medicare asks surgery centers to assess each patient's risk, but inspectors flagged 122 surgery centers in 2015 and 2016 alone for lapses in risk assessments. Some centers failed to gauge risk at all. Others overlooked their own policies. A few states, including Pennsylvania and Rhode Island, bar certain surgery centers from operating on patients with an anesthesia risk score of 4. But most states don't go that far. They leave such decisions up to doctors. And some of those decisions have been cited in tragic outcomes. Sabino Sifuentes, 74, had survived triple-bypass surgery. But on March 23, 2015, nine minutes after the start of anesthesia for an eye procedure, he became unresponsive, never to be revived, according to a Medicare inspection report. A nurse anesthetist who reviewed the case at Eye-Q Vision Care's surgery center in Fresno, Calif., told state health inspectors that Sifuentes should have been given a risk score of 4 and his care was "completely mismanaged," the inspection report says. In response to the family's lawsuit, the surgery center said Sifuentes' injury was caused by his own negligence and others'. Until 2015, Medicare wouldn't pay for it at surgery centers. Then, the industry's trade association urged the agency to make the change, and encouraged a letter-writing campaign from surgery centers across the nation. Letter writers included Dr. Alan Villavicencio, a Colorado surgeon who said he'd been doing such surgeries for 12 years and found that his patients "appreciate the convenience and cost savings." He did not mention that James Long, 56, had died three weeks earlier at a Lafayette, Colo., surgery center where he is an owner, a review of Colorado health department and medical board records shows. Robert Beatty-Walters, a Portland, Ore., attorney who has represented the families of three people who died after surgery center spine procedures, said Medicare's decision-making process is not even-handed. "The stakeholders — they call them — during these regulatory proceedings are the profit-makers, not the people who are being provided the service," he said. 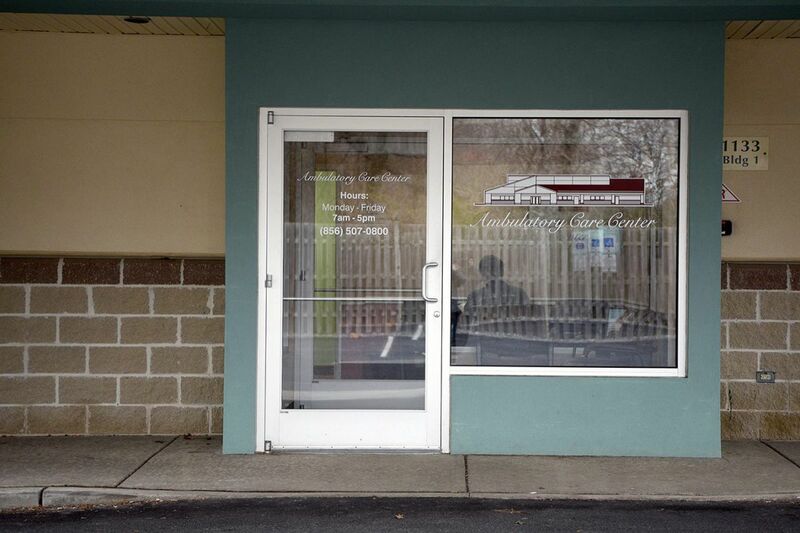 "The spine centers just want to have more people come. They make more money. I hate to be that cynical about it, but that's just what I've seen." Paulina Tam's death at Fremont Surgery Center was a tragic example. At 58, the mother of three had finished careers as a nurse and an educator. Next, she planned to travel the world with her husband of 32 years. "She was the driving force of the family, the spirit I guess," said her son, Eric Tam, a doctor in New York City, said. "We didn't expect the worst to happen." The care she received at the center is documented in court records, EMS reports and a Medicare inspection report that concluded that the center "failed to provide a safe environment for surgery." Tam's doctor scheduled her for a procedure to replace two discs in her upper spine on April 7, 2014. Pain from a car crash had bothered her for years. Any such surgery — entering the front of the neck to address pain in the spine — comes with a risk of suffocation, according to the Medicare inspection report. Yet, with her surgeon and anesthesiologist already gone, the only doctor on-site was a digestive health specialist, the inspection report shows. About four hours after her procedure, Tam told a nurse that her surgical collar felt too tight. Then, that she couldn't breathe. The nurse called a "code blue" just after 6:30 p.m., records say. In Tam's case, staff repeatedly tried and failed to insert a breathing tube through her mouth and into her airway, the inspection report shows. A last-ditch remedy would have been to punch a hole through the front of her throat to restore breathing, but the gastroenterologist later told an inspector that he was "not prepared" to do so. The inability to perform the suffocation-rescue maneuver, the inspection report says, amounted to the center's "failure to ensure patient safety." The center did not return calls and denied wrongdoing in the court case. Tam's surgeon declined to discuss the case but filed pleadings in court saying Tam's "carelessness and negligence" caused her death. It's unclear what the defense meant by negligence. The case reached a confidential settlement. After Tam's death, the center told Medicare inspectors that a qualified doctor would stay on-site after all upper-spine cases. Dr. Nancy Epstein, chief of neurosurgical and spine care at New York University Winthrop Hospital, said surgery centers doing delicate work near the spinal cord, windpipe and esophagus in a same-day procedure is "pretty revolting." But she said the centers are making so much money — "reeling it in hand over fist" that the potential dangers are being ignored. "Medically, it should not be tolerated," she said, "but it is." KHN's coverage related to aging and improving care of older adults is supported in part by The John A. Hartford Foundation. Lindy Washburn of The (Bergen County, N.J.) Record and NorthJersey.com contributed to this report.